Inspiration to help you to try a “budget-friendly ” home re-vamp of your own! WE. DID. IT. We actually moved. I realize, that our move was pretty average compared to a 5,000 square foot home, across the country or something of that scale, but to us it was a big accomplishment. The upside to moving from our condo, to an apartment and then to the home we’re now in, all in 8 months is that you definitely learn to purge. Even as I type this, I know my husband is rolling his eyes that I’m a hoarder but I’m really working on becoming one of those mythical minimalists. Aside from the move, we’re also doing some minor cosmetic renovations including, re-finishing the basement floor, playroom built ins and giving the kitchen a mini-facelift complete with a new backsplash, new hardware, and a new faucet. To add to the chaos that is moving with small children, we’re off on our first international trip with the kiddos in a week! Say some prayers for us! From now until then we’re getting more and more boxes unpacked and the house is becoming a little more live-able. There’s a long to-do list in terms of organization and unpacking but I can see the light at the end of the tunnel and that’s pretty exciting! Here are some before photos and some plans I’ve drawn up on my new favorite website, roomsketcher.com (beware, it’s addicting!). Check back for the playroom reveal in a couple of weeks! Just print, cut + hang! Download this adorable Stars & Stripes Patriotic Banner to print it at home. Each letter prints on an 8.5×11 piece of paper. It’s an easy addition to any 4th of July, Memorial Day, Labor Day or Patriotic themed celebration. 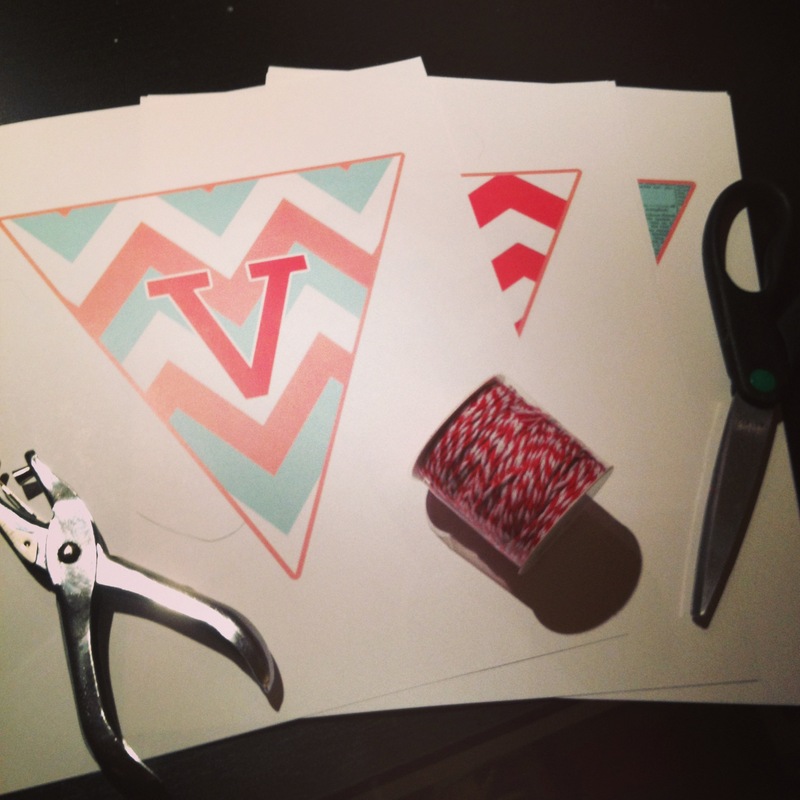 As part of our DIY Holiday + Party Kit series, we’re giving you a FREE DIY printable Valentine’s Day banner. Just print and hang this adorable pendant banner for a fun Valentine’s touch. Will only cost you paper and string! Part of our DIY Holiday + Party Kit series – we’re giving you everything you need for Valentine’s Day.